It’s that time of the summer where you start running out of fun things to do. Some people may pick up a few extra work shifts… but who doesn’t want to still have some fun?! Check out our top ten FAV activities and jazz up your weekend plans with a few of these WICKED fun things to do! Stuff your face with seafood: Boston is home to some of the world’s most amazing lobster rolls, chowders, and cod dishes. OSTRA was ranked the number one seafood restaurant in Boston for 2016 – who doesn’t love a meal with a view? 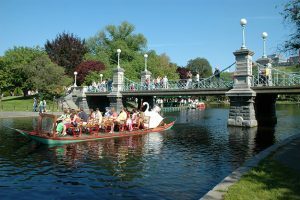 Ride the swan boats at the Public Garden: The swan boats have been a go-to date activity for more than a hundred years, so make a point of taking someone important to you. Scope out the weather and call 617-522-1966 for booking and more information. Drink and Paint in Boston: The Paint Bar is a highly recommended place to let down your guard and relax. 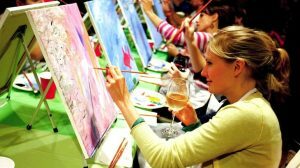 At 248 Newbury Street Boston, you will be provided with all the supplies you’ll need to create a master piece; a 16’ x 20’ pre-stretched canvas (or other material to paint on if applicable), acrylic paint, brushes, easels, apron and more! Each session lasts approximately 2.5 hours. A selection of our Wicked Wine and some beer favs are available for purchase! All you have to do is show up and have a good time. Spots fill up fast so make sure to call 617-467-5777 to schedule today! Take a night to see the Blue Man Group perform: Do you enjoy live entertainment but find yourself not in the mood for a musical or a play? Take a more modern avenue and check out the Blue Man Group – a comic musical and artistic show that is constantly interacting with the audience. Thinking about sitting front row? Make sure to bring a poncho! Complete a cocktail crawl: Boston is packed with amazing cocktail bars. Now that the T runs until around 2am on weekends you’ll have plenty of time to try them all yourself. Start with a Red Line crawl (Saloon, Grafton Street, Brick & Mortar, and Green Street, among others) or Kenmore Square (Eastern Standard, The Hawthorne, and Island Creek Oyster Bar) and don’t forget to bring your friends! 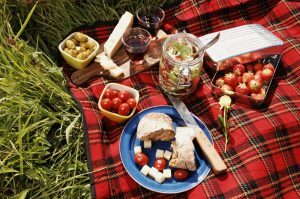 Have a picnic in the Boston Common: Looking for a little romantic getaway but find that you’re stuck in the typical routine of going out to dinner? Try packing a lunch and heading down to the Boston Common to unwind after a stressful work week. Looking to take a stroll? We’ll you’re in luck — the Boston Common is the start of the freedom trail. Rent Sail Boats on the Charles River: It’s known that renting sail boats on the Charles River may be one of the highlights of all trips into Boston. 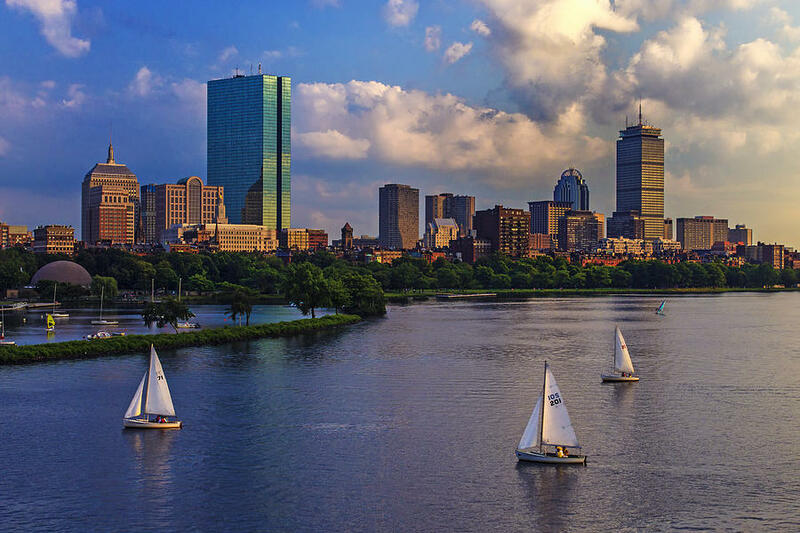 Sailing with the Boston Skyline as your scenery is one of the most exciting activities you can do. Spots fill up quick so make sure to plan a few days ahead to make sure you can enjoy the Charles River for a few of hours! Not interested in sitting on a boat? Try looking into some Boston fishing charters and reel yourself in something worth taking a selfie with! Vacation on the Cape: Want to venture outside of the city for a bit? Try heading down the Cape for a weekend. Whether you want to stroll down the beach, chug chowder, or take in some P-town culture, nothing beats a long weekend on some of Massachusetts’ number one ranked beaches. Drink Wicked Wines: Last but not least, you’ve gotta grab a bottle of Boston’s favorite, Wicked Wines. Having been inspired by the pride of the northeast, the love of culture and the special ‘language’ New Englanders use, this line of wines perfectly represents the Boston camaraderie. This entry was posted in Boston, Events and tagged Activities, Blue Man's Group, Boston, Boston Activities, Boston Common, Charles River, Cocktail Crawl, Drink and Paint, Fun in the sun, Global Wines Inc, Rex Sox, Sail Boats, Swan Boats, Top ten, Wicked, Wicked Wines. Bookmark the permalink.